This is what happens when 2 out of 3 flashes don't fire when you're shooting film. 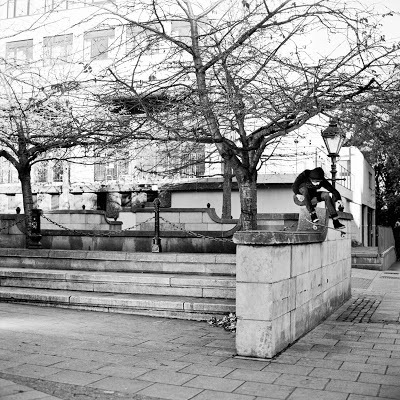 You end up with a rad trick, that is badly lit. Gutted... 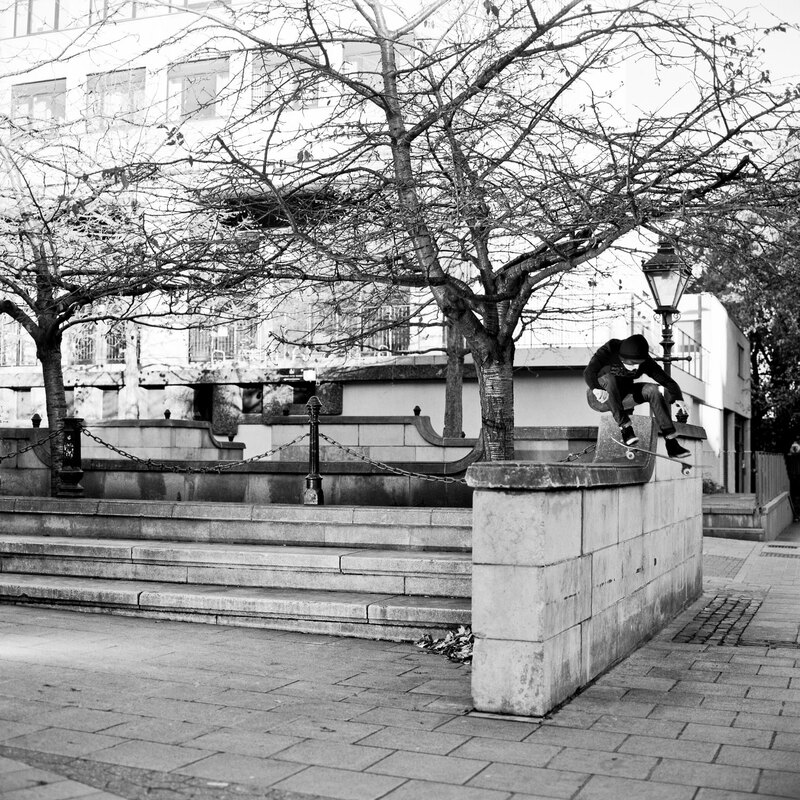 Anyway here's Myles ollieing from the 2nd step over a huge wall at Bristo Square, Edinburgh. I think Mark may have shot a better photo on his phone, oh dear.